Here again is another design engineer's idea of a good idea, Niklas Wejedal's all electric hydrofoil personal watercraft, called the Marlin. 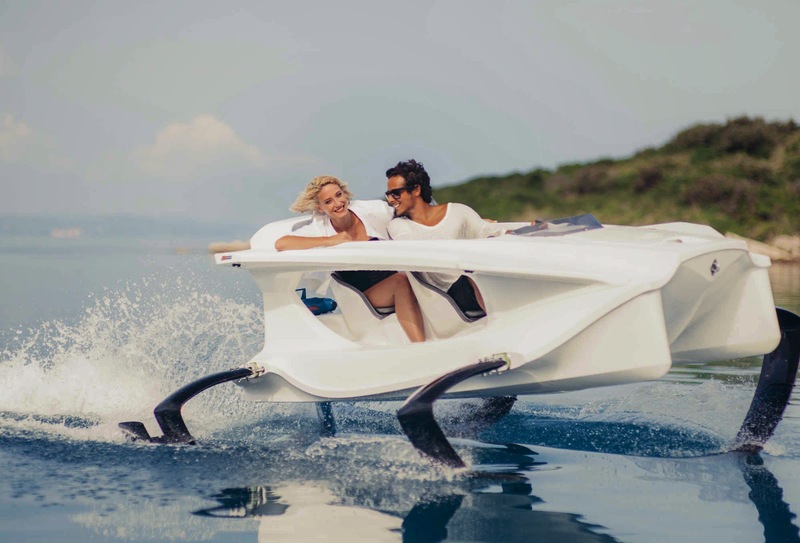 an all electric hydrofoil which uses a conventional prop for propulsion, the Marlin is propelled by an oscillating wing, a method used by the human powered Aquaskipper , where propulsion is gained by jumping up and down on a hinged foil assembly. Powered by a hefty 15KW system (compared to the Quadrafoil's 5.5KW), the Marlin is an interesting design from a propulsive point of view, but as a concept it remains to be seen what kind of performance can be achieved or what the rider experience might be like. 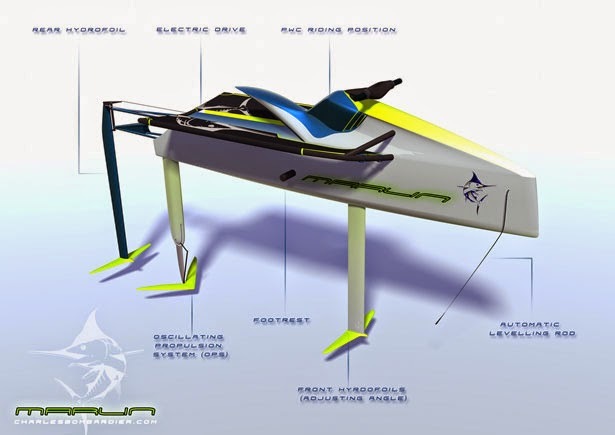 As typical with hydrofoil designs, the concept is long on function and short on form. Someday, someone is going to come up with a design that appeals to the masses, eco-friendly, pleasing to the eye, and a whole lot of fun.